I declare this book … launched! Nerves jangling. 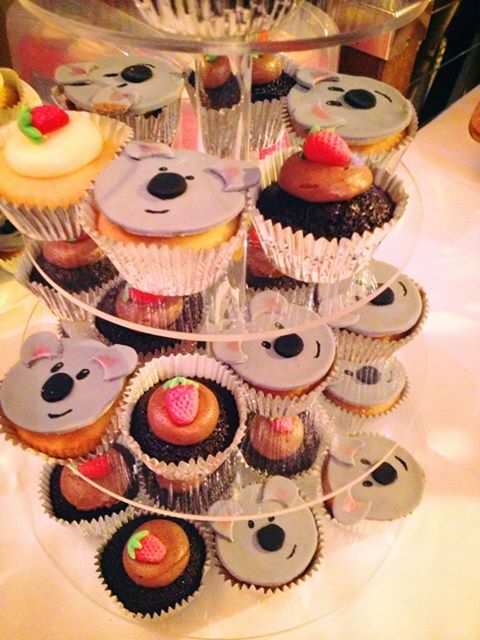 Cup cakes iced (thanks Rachael). Bookmarks bundled up and interstate visitors collected. Several outfits later, (it was an unseasonably hot night and the previously chosen dress was too hot) and then … it was time! 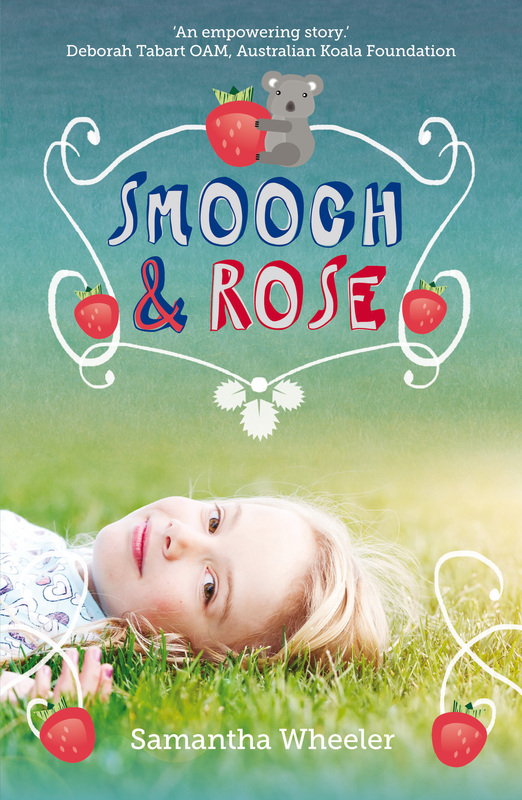 The launch of Smooch & Rose! Beautiful Krysi, from Riverbend Books, made us feel welcome from the start, and the talented Michael Gerard Bauer was very kind with his words of encouragement and praise. Heart thumping, I looked over the sea of happy faces and felt immensely grateful for such a wonderful opportunity. 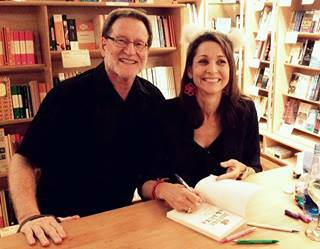 All those smiles, thanks to books and writing. It was quite an emotional moment! A quick self conscious read of Smooch & Rose accompanied by an explanation of its roots, and lots of thank you’s and it was time to sign some books and chat. 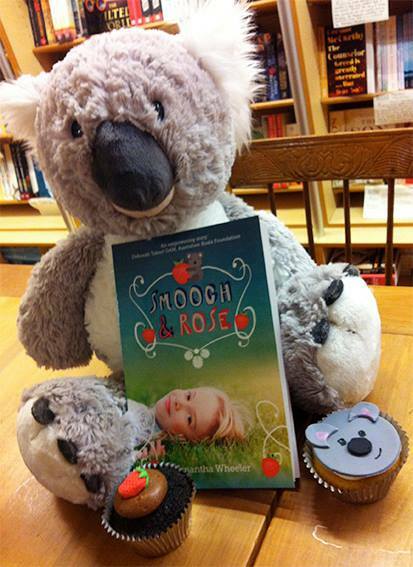 Smooch & Rose was officially launched! Thank you everyone for coming and for those who couldn’t make it, thank you for your support. Posted in Smooch & Rose, Writing and tagged Rose, Smooch, UQP, Writing. Bookmark the permalink. For anyone who’s given birth, you’ll know the feeling. Chest swelling. Heart bursting. The unbelievable joy knowing you’ve created something unique, precious and incredibly amazing. And you’ve delivered it safely into the world. On July 24th Smooch & Rose will be ready to hatch. 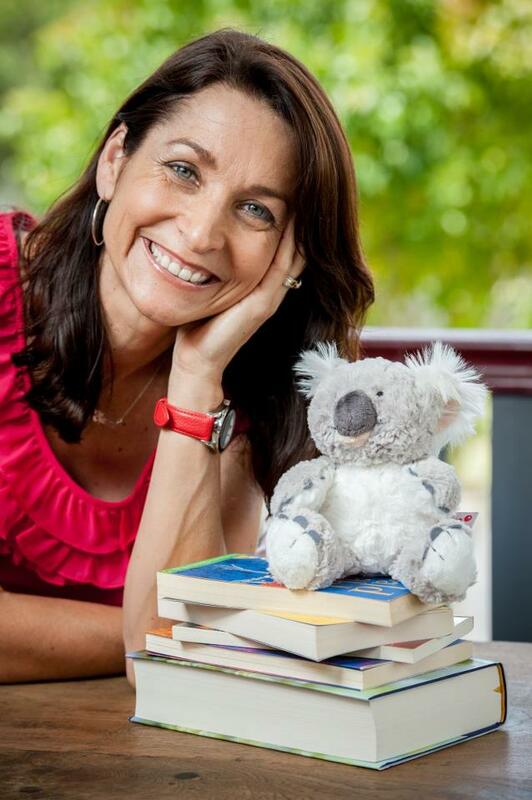 Rose and her koala, first appeared in my writing notebook in May 2011 – thanks to Dr Kim Wilkins and the Year of the Novel at the Queensland Writers Centre. 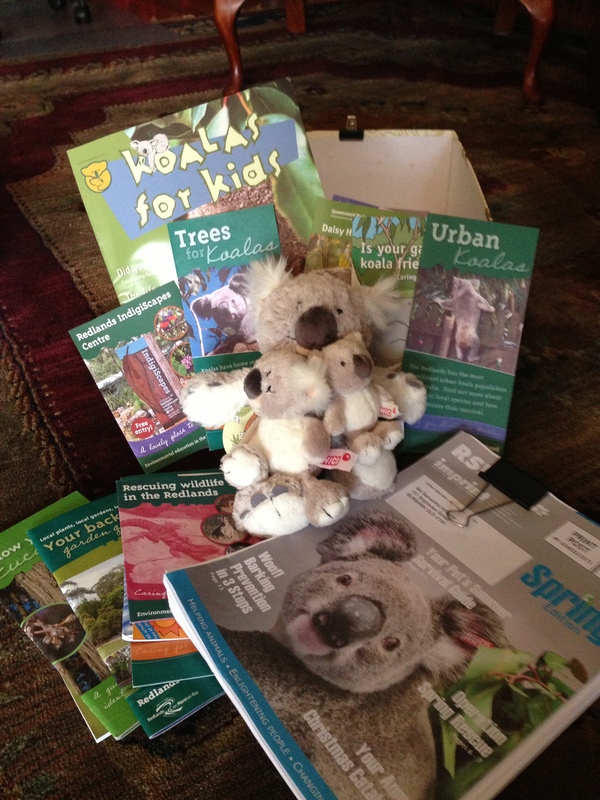 I’d started the course with an entirely different story in mind – a pacey page turner for adults with an environmental theme – but it just wouldn’t take off. “Why are you fighting your voice?” Dr Kim wisely counselled. That month my homework was to write the blurb for my new story. Jack Russell Lizzie, fuzzy koala Smooch, eleven year old Rose and her stalwart gran arrived on my page, suitcases in hand. Funny how two years later, after much editing and re-arranging, these four main characters stayed pretty much the same. The story developed between the monthly sessions of YON: plotting, building transition points, fleshing out characters (what was Rose’s biggest fear? ), drawing up scene maps, rising to a climax and rounding to a satisfying end, all under the guiding hand of Dr Kim. 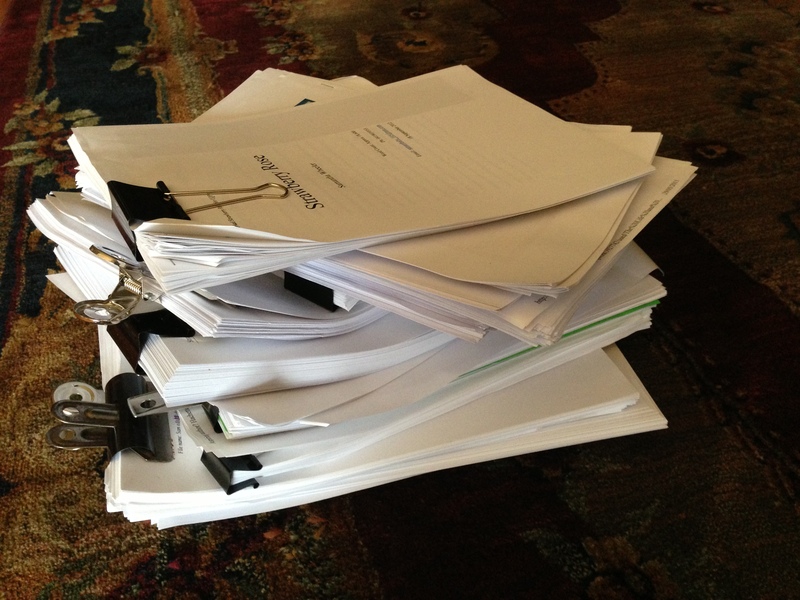 By the last session in November, the first draft was complete. Just a few more edits! Christmas holidays 2011 was a good time for editing, and I had two wonderful friends read and critique the story. I also paid a manuscript assessor to tell me what the major flaws were and where I could improve. By early 2012, I started submitting. I used the QWC magazine to check for submission opportunities and sent the story off to Allen and Unwin, Walker Books, Harper Collins and Hachette. Harper Collins were enthusiastic: they liked the writing. Allen and Unwin were generous and kind, but the climate was tough and the story wasn’t their type. Then registrations for the annual CYA Conference in July 2012 came around. I still hadn’t found a home for Smooch & Rose so I booked a pitch for another story to Random House, and one for Smooch & Rose to UQP. I hoped my determined Rose would fit with UQP’s list of warm, courageous books. It was the second time I’d pitched to UQP, and their wonderful publisher, Kristina congratulated me on the improvement in my writing since she’d met me three years before (go Dr Kim!). Just as I’d hoped, Smooch & Rose did hit a chord with Kristina, but more than that, some advice I’d received along the way about always being professional, networking, making sure you place yourself in front of the right people, however scary, held me in good stead. Although much of the writing process was done in isolation, creating the finished product was by no means a solitary act. First there was the editing, which, for the record, is the most amazing process. It really helped me improve my writing. My story was too long for my readers’ age, with too many characters, and I repeated the same physical reactions: a lot! Next came the chapter illustrations and the beautiful cover, thanks to Aileen Lord. 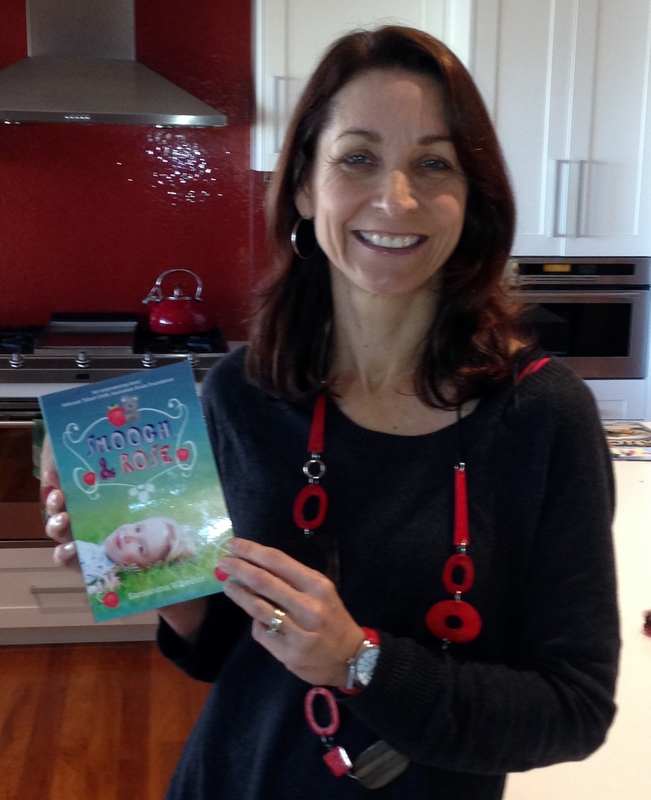 Seeing her professional art work was a very exciting reality that my story was going to hit the shelves. Then came author profiles and photos and marketing bits and pieces, all of which have been another part of the exciting journey.